COMMERCIAL POINT – EPA was called today because the water in Commerical Point was green, and not your typical green but florescent green. 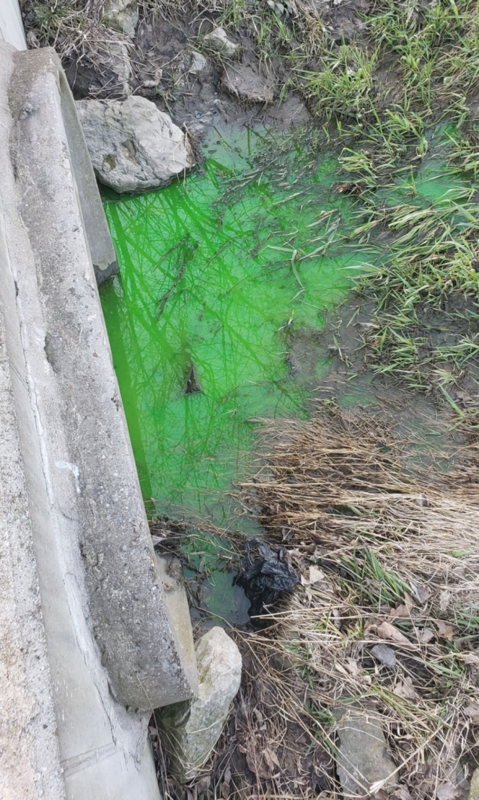 The green water had spread from East Scioto Street to the Walker Point Subdivision. Turns out half of the city officials didn’t know what was going on either. 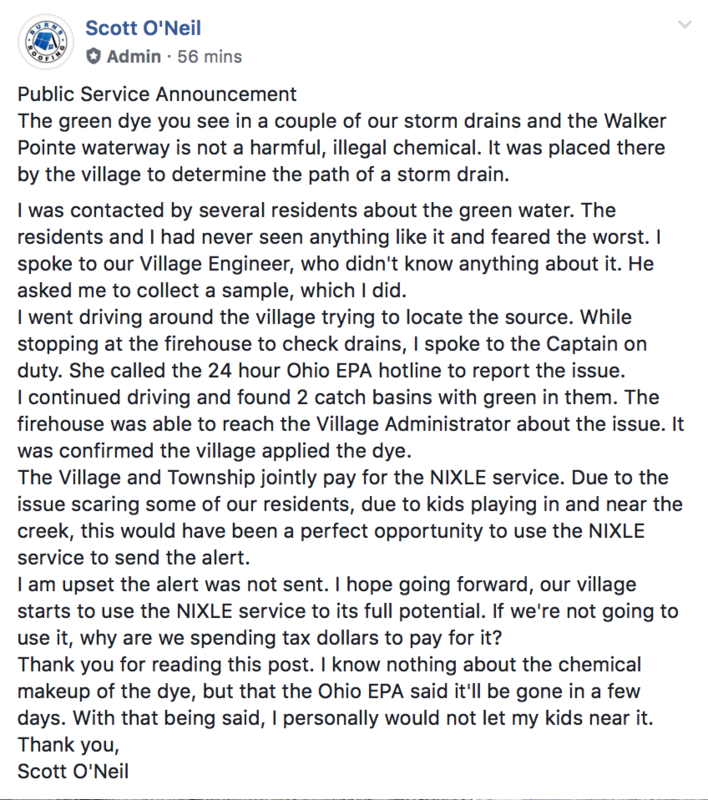 In a post from Councilman Scott O’Neil he gives details of the panic the village was in trying to determine what was in the water system. 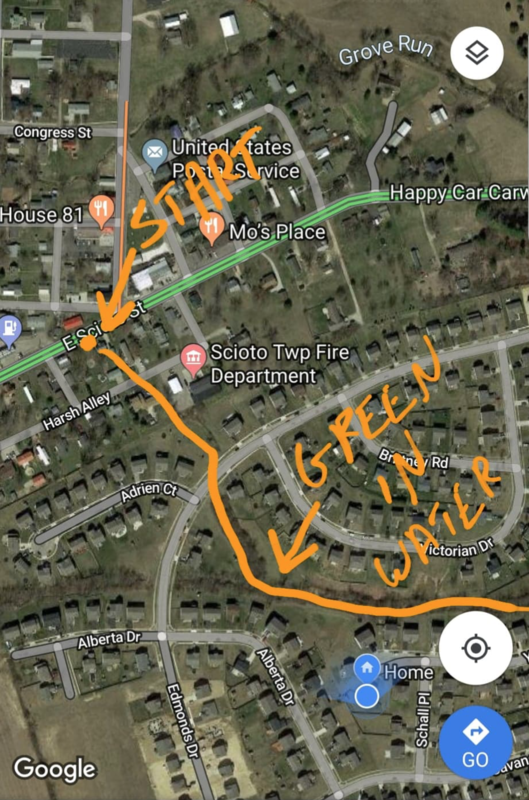 Turns out according to O’Neils post, the other half of the city administration was conducting a water test to determine where water was flowing to a storm drain exit, but didn’t inform everyone causing a panic. O’Neil said in the online post, “The Village and Township jointly pay for the NIXLE service. Due to the issue scaring some of our residents, due to kids playing in and near the creek, this would have been a perfect opportunity to use the NIXLE service to send the alert. According to the EPA website this dye that was used is nontoxic and will not hurt anyone, other than giving someone a bit of a fright its harmless used for tests like they did today.